If you are a community member who would like to search for jobs, you must first register on CCN. Once registered, you may also receive emails about programs, services and job-related topics. For more information or assistance, please call us at 708-974-5737. 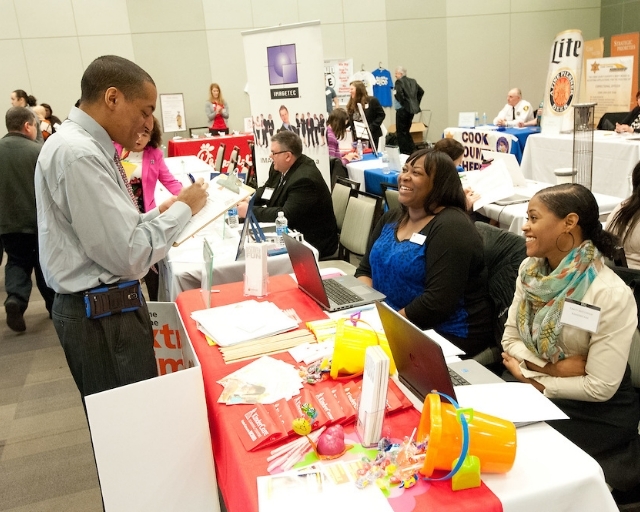 SPRING JOB FAIR TUESDAY, APRIL 30, 2019, 10:00 A.M. TO 1:00 P.M.
All Jobseekers are welcome to attend this FREE job fair at Orland Township. Don't miss out on this great opportunity to meet with possible future employers. There will be over 30 companies attending the fair. Business casual attire recommended, and bring several copies of an updated resume. No preregistration required for jobseekers! Practice interviewing skills with hiring professionals! Pre-registration, resumes and business attire are required. Open to students, alumni and community. Please call 708-974-5737 to schedule your 30-minute session. 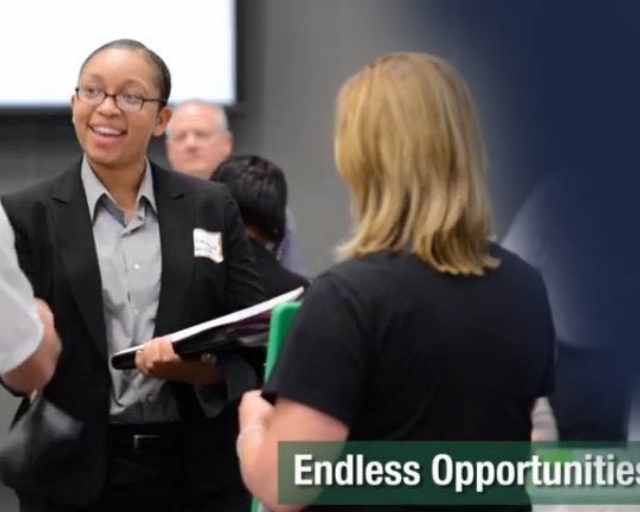 Connect with over 70 companies from diverse industries hiring for part-time and full-time employment. Resumes and professional attire are required. Open to students, alumni and community. Workshops and other events are being added for the semester. Please visit our web site at collegecentral.com/morainevalley for the latest information, events and online resources. If you have any questions, please feel free to contact us at 708-974-5737 or jrc@morianevalley.edu. The MVCC Job Resource Center office reviews every employer that is listed through our College Central Network (CCN) site (collegecentral.com/morainevalley) to the best of its ability. Please note that we do not allow employers to have access to your information unless you allow them or are referred by the JRC (we will contact you prior to doing this). We and other colleges are finding that fraudulent employers are attempting to post fake job opportunities to sites such as our College Central Network (CCN) site. While we try to protect our job seekers from job scams, we cannot guarantee that all positions listed on these sites are legitimate. It is the responsibility of students and alumni to research the integrity of the organizations to which they are applying. We advise you to use caution and common sense to protect yourself against these types of scams when applying for any position with an organization or off-campus employer. Please see the scam posting image that was recently brought to our attention below and our tips on how you can protect yourself. •	The employer asks for bank account numbers, PayPal account, or any personal financial information. You should never give out personal financial information, social security numbers, date of birth or driver’s license numbers when applying for a job. Be cautious. •	The employer asks for payments by wire, courier/mail, bank transfer, check or PayPal. They want access to your bank account – do not do this. •	There is an initial investment of your money, or a request for access to your bank account, or you receive a check before providing services. The employer requests assistance in helping to get their new location “up and running” as part of your job duties. Do not do this. •	The job description is vague and does not detail any of the responsibilities or duties. •	There is a request for a photo of yourself. •	The employer’s e-mail address contains @live, @gmail, @yahoo, @hotmail domains instead of a business e-mail address, or does not match the company website address. •	The job description contains several spelling and grammar errors. •	The position pays a high salary for minimal low-skilled or vague job duties. •	The position sounds too good to be true, or you get the job without applying or without an interview. •	The job description states that you will be able to (through their company) “run your own business,” “work at your leisure,” “manage your own employees,” or anything similar. Be cautious. The JRC requires that all employers posting through our office are *not* commission based. A wage or salary must be provided. •	Confirm that the posting includes an address, company name, actual contact, etc. If it does not, be cautious. Scammers may try to reduce their visibility to avoid being caught. •	Visit the website listed in the posting. Always check to see if all of the information matches what is listed in the posting, including location and contact information. Check to see if the person listed on the posting is listed on the website. Is there an index that tells you what the site is about? Is there other information included besides just information about the job? •	Google all of the information provided – their name, address, LinkedIn/social media accounts, e-mail address, and so on. •	Visit the Better Business Bureau website (www.bbb.org/council/consumer-education/). •	If you have been a victim, file a police report by contacting the police (MVPD can be reached at 708-974-5555). Pre-registration, resumes and business attire are required. Register by calling 708-974-5737 or jrc@morainevalley.edu. Resumes and professional attire are required. If you would like to be a Mentor to students and alumni and interact with them online, please go to our Mentoring Network page. 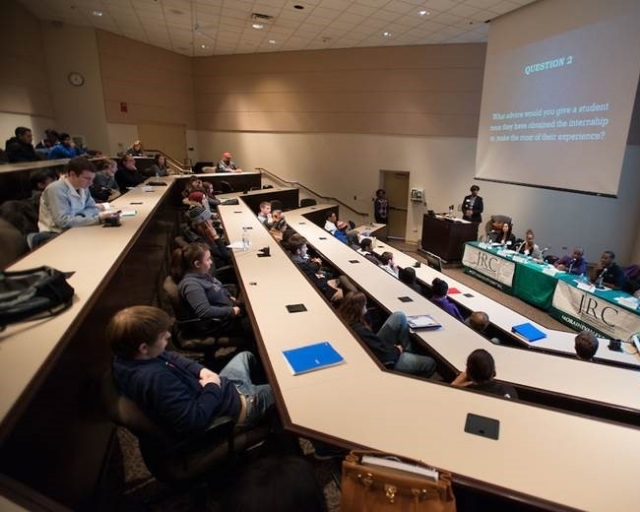 Resources available to alumni and community members include evening workshops, online resources and career events such as the Job Fairs and Mock Interview Days held every semester. Please Note: if this email address is no longer valid, please contact the Job Resource Center for assistance.